A pair of teenage twins have had their hard work pay off by coming out on top in a national netball competition. 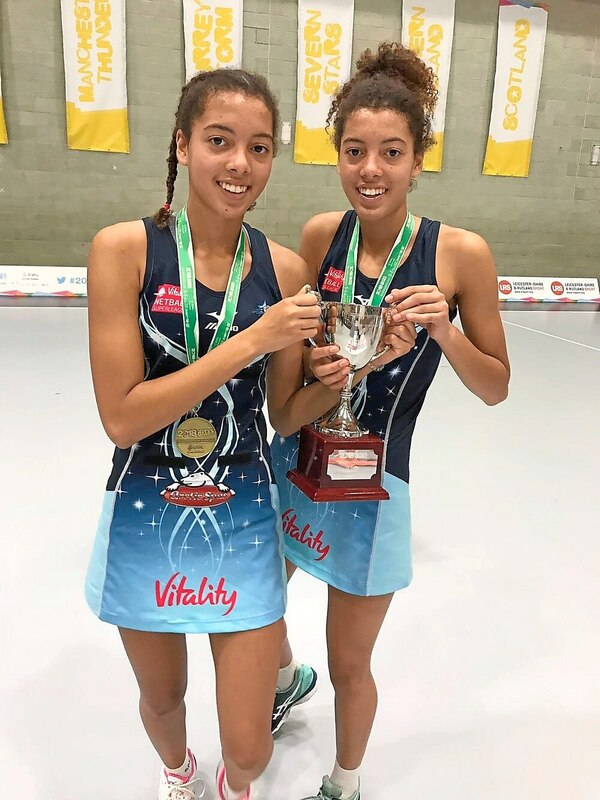 Sisters Halee and Rudee Robinson, from Wolverhampton, were part of the Severn Stars Under-15s side which won the 2018 School Games National Finals at Loughborough University. Both pupils at Wolverhampton Girls’ High School, the 15-year-olds catch two trains after school – twice a week – to train for the Worcester-based Stars, whose first team plays in the Vitality Netball Super League. Halee and Rudee also play locally for Yendys – serial winners based in Walsall. They have been part of Severn Stars’ academy for a year. “Hopefully there’s more success to come for them,” added Ronnie. There were 12 teams involved and after winning all of their group matches, Halee and Rudee helped Stars to a 32-20 victory against Benecos Mavericks.